All of our games are now on sale on PC, with various amounts of discounts. With this cold outside, you might want to turn up the heat, and the best way to do so is to battle against the vilest monsters of the fabled past and the war-torn future. Here's a handy guide to our games both on Steam and our very own store. 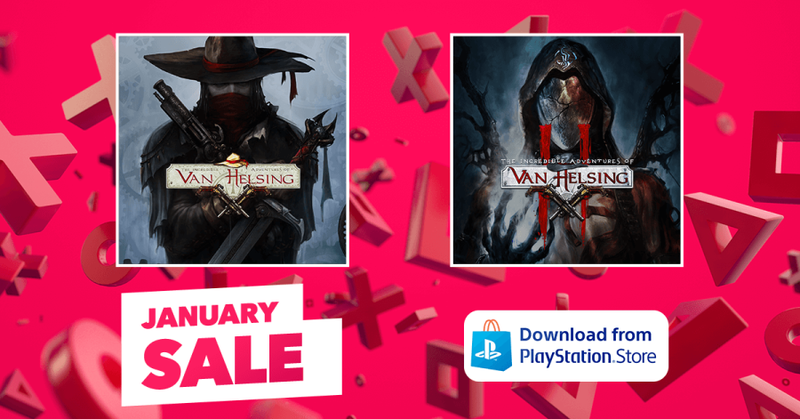 Additionally, The Incredible Adventures of Van Helsing I and II are also on sale on the European PlayStation Store, under the January Sale label. These games have a 70% and a 67% discount, respectively. This is a great time to catch up with the Neocore backlog and delve into ARPGs featuring exciting single player campaigns and multiplayer game modes as well. The Steam sale lasts until January 3 and the PlayStation sale lasts until January 18! We hope you'll have an awesome time during the holidays with our games!